The 'Great Gate of Kiev' is in itself huge. But with the eight horns of german hornsound plus percussion amplification it becomes gigantic! 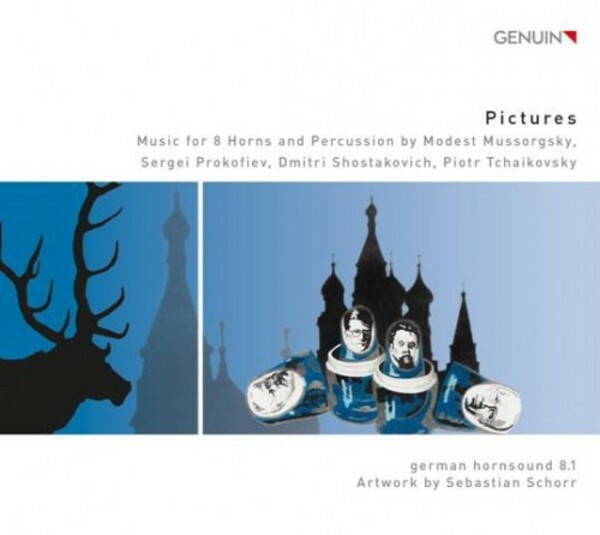 After their successful Verdi-Wagner Portrait 'Siegfried and Violetta', the world-class horn players appear again in 8.1 wide-screen format on their second Genuin CD. However, before the listener is blasted away by the sound of the Great Gate, he travels through a veritable musical Jurassic Park: spooked by The Gnome, a witches� sabbath on the Bald Mountain, and morbid waltzes and emotional suffering with Romeo and Juliet. On the program: Mussorgsky, Shostakovich, and Prokofiev � here dances the Russian bear!